New-car sales in Italy rose 6.8 percent to 156,332 in November, according to figures published by Italy's transport ministry. Registrations increased despite a slump in market leader Fiat brand's sales and declining demand from private customers. Fiat Chrysler Automobiles' sales fell 5 percent, mainly because of a 14 percent drop in Fiat brand sales as the automaker reduces self-registrations to improve its financial results. Lancia sales were down 11 percent. Jeep sales gained 49 percent and Alfa Romeo's volume increased by 21 percent. FCA's strategy of reducing unprofitable sales caused its market share to decline to 25.2 percent in November from 28.4 percent in the same month last year. Its share in the first 11 months is down to 28.6 percent from 29 percent in the same period in 2016. Among non-Italian automakers, Peugeot's sales increased 11 percent and Citroen's by 44 percent in November, while PSA's newly acquired Opel brand posted 1.3 percent growth. Volkswagen brand sales were up 5.5 percent and Skoda's 35 percent, while Seat sales fell 13 percent. Renault brand registrations rose 20 percent and Dacia gained 43 percent. Ford sales were 8.5 percent higher. BMW led German premium brands with a 5.3 rise, followed by Mercedes-Benz with sales up 3 percent. Audi lost ground with a 7.5 percent decline. Toyota led Asian brands with a 23 percent jump. Hyundai and Kia increasing sales by 12 percent and 7.3 percent respectively. Sales to private customers were down 2.6 percent to 91,304. 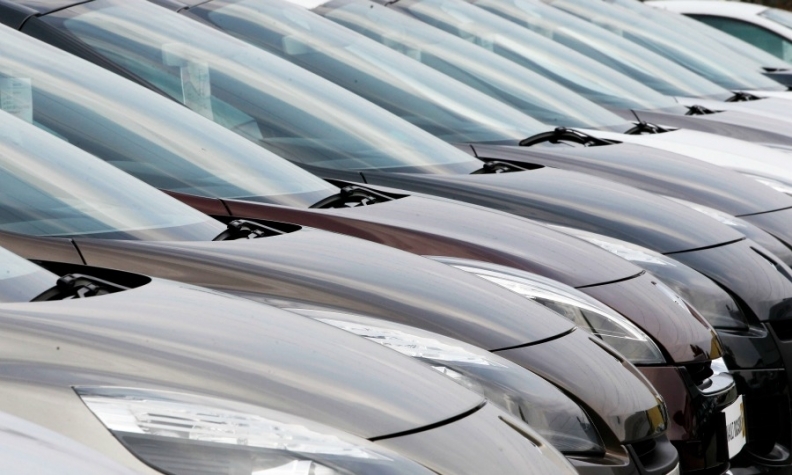 Increasing numbers of private customers are leasing their cars rather than buying them and also buying discounted cars previously self-registered by dealers, importers' association UNRAE said in a press release. Demand by private customers is down 1.1 percent in the first 11 months. Diesel car demand was weak for a second month, after being resilient for the first three quarters. Diesel car sales were down 0.1 percent and their market share slipped to 56.4 percent from 59.7 percent in November 2016. Diesel share in the first 11 months declined to 56.7 percent from 57.3 percent in 2016. Hybrid car sales jumped 90 percent in November to 6,763 with a record market share of 4.3 percent. Italy's sales are up 8.7 percent to 1.85 million in the first 11 months. Dataforce forecasts that Italian new-car sales will grow by 6 percent to 1.98 million for the full year despite a 3 percent decline in private demand.